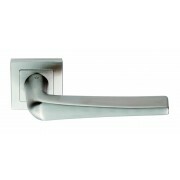 A range of lever handles on a round or square rose backplate from Carlisle Brass Designer, Serozzetta and Steelworx collections as well as Fortessa and Zoo Hardware. 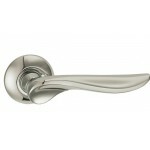 Finishes available are Polished Chrome, Satin Chrome, Duo Polished & Satin Chrome, Satin Stainless Steel and Satin Nickel. 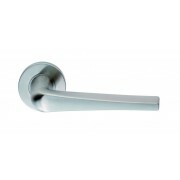 Eurospec Steelworx Plaza Lever on 52mm dia rose. Satin Finish. ..
Eurospec Square Mitred Lever on 52mm x 52mm Square Rose. Satin Finish. 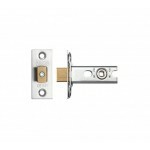 ..
Eurospec Flat Lever on 52mm x 52mm Square Rose. Satin Finish. ..
Eurospec Rectangular Lever on 52mm x 52mm Square Rose. Satin Finish. ..
Eurospec Shaped Lever on 52mm x 52mm Square Rose. Satin Finish. ..
Eurospec Square Lever on 52mm x 52mm Square Rose. Dual Finish Satin / Bright. ..
Eurospec Square Mitred Lever on 52mm x 52mm Square Rose. Dual Finish Satin / Bright. ..